review Hey, remember netbooks? Yep, they’re still rattling around, even though there aren’t nearly as many of them as there used to be. The cost of an entry-level notebook has pretty much reached parity with netbooks, making their poorer-performing cousins less appealing, and tablets have emerged as a sexier and far more intimate form of mobile computing compared to a netbook. But there may be life in this old dog yet. 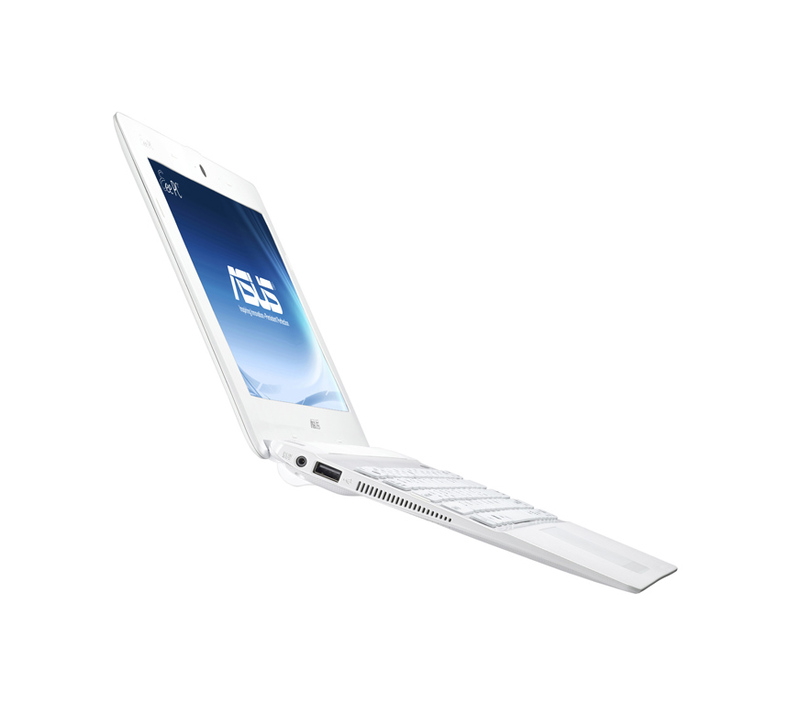 Asus has been smart about the pricing of its latest netbook by making it cheaper than a 10″ tablet. That, along with the modernised appearance and additional features it offers over a tablet (physical keyboard, multiple connectivity and peripherals options, and spacious hard drive) make the X101H an appealing mobile computing option for bargain hunters. The X101H may be a budget machine, but Asus has managed to bless it with a decidedly up-market appearance. 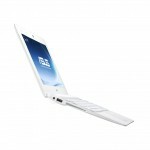 It’s got sleek lines, an ultra-slim profile and an all-white casing (it’s also available in red, black and brown). The 22mm thickness isn’t exactly MacBook Air-style skinny, but it’s quite thin for a netbook. Where it beats Apple’s popular ultraportable is weight; while the 11″ MacBook Air weighs in at 1.08kg, the X101H is eight grams lighter at an even 1kg. The standard complement of ports and slot are dotted around the X101H’s left and right sides: a VGA port, USB 2.0 port, charging jack and SD card reader are on the left, and a combo microphone/headphone jack, second USB 2.0 port, Ethernet port and Kensington lock slot are on the right. The slim profile has the downside of leaving no room for a third USB port; as it is, the Ethernet and VGA ports barely fit – the Ethernet port has a hinged bottom that pushes down to accommodate a network cable, while the VGA port has a slight hump underneath it. If you’ve seen one netbook, you’ve pretty much seen them all. Aside from the missing third USB port, the X101H follows the netbook mold to the letter, with a 1.6GHz Intel Atom N455 processor, 1GB of RAM, and integrated Intel GMA 3150 graphics. It runs the usual Windows 7 Starter Edition (which strips some of the standard features out – like the ability to set your own desktop wallpaper), and comes with 320GB of storage split between two hard drives. There’s also a 0.3-megapixel webcam above the 10.1in 1024 x 600-pixel display, along with 802.11n Wi-Fi and Bluetooth 3.0. 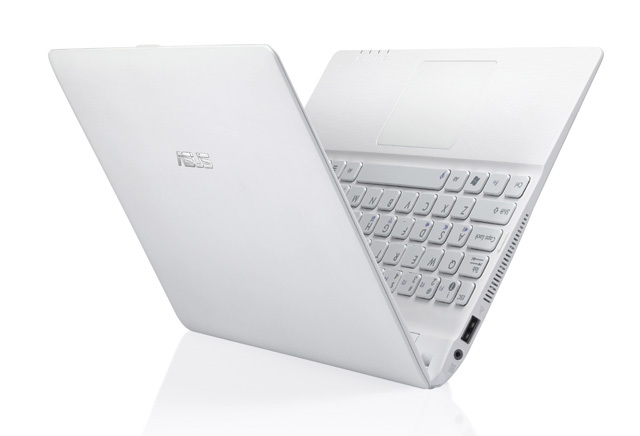 Asus has also fitted the X101H with the same proprietary utilities that can be found in most Eee PC netbooks. The Super Hybrid Engine power utility lets you move between battery-saving, high performance and super performance configurations by pressing the function button and spacebar simultaneously, and there’s an ‘instant on’ technology that promises faster resume times when waking the X101H up from sleep. For fast access to web browsing, Facebook and multimedia, there’s also a simple Linux environment built-in called Express Gate Cloud that you can boot into instead of Windows. Of course, there are bound to be some compromises to reach the $399 price point. The Atom N455 processor used in the X101H is a last-gen technology that was superseded by the N550 last year, the latter of which uses true dual-core processing to achieve significantly better performance. The X101H also has a smaller three-cell battery, which keeps the weight and thickness down compared to a six-cell, but also halves battery life. Keyboards on netbooks are undersized as a matter of course, but the X101H’s keyboard is especially lousy to type on due to the shallow key travel – typing feels flat and unsatisfying. The 10” display is mediocre too; it’s sufficiently bright thanks to the LED backlighting, but there’s a haze on the screen that makes text on the screen look fuzzy. One thing you don’t buy a netbook for is fast performance. At best, you can hope for a machine that’s merely good enough to handle the bare basics. The X101H manages that by the skin of its teeth. We became far too familiar with the infernal Windows spinning circle symbol during the review period, which tends to rear its ugly head whenever you’ve got anything more than a couple of tabs open in Internet Explorer. We frequently got ‘page not responding’ and ‘unresponsive script’ errors when loading webpages that worked perfectly fine on other (read: faster) computers, and no matter what we tried to coax the X101H into doing, it would take its own sweet time about it. Things improve somewhat when you switch to the high performance and super performance power modes, but not by much. It’s not just the poorly-designed keyboard that makes touch typing on the X101H a frustrating affair – it also has a bad habit of randomly dropping letters while you’re typing, making it as error-prone as typing on a smartphone or tablet. When switching to the battery-saving mode, the touchpad also becomes extremely flakey, frequently jumping to the top of the screen on its own and ignoring input whenever the system is busy doing something else. This middling performance is reflected in the X101H’s benchmark results in PCMark05, which measures overall system performance. In super-performance mode, the X101H achieved a score of 1376 in PCMark05, which is a hundred points lower than the worst entry-level netbooks released a couple of years ago. Switch to the power-saving mode, and the score drops to 985. But bootup and resume times are actually a lot better than average for a netbook. The X101H can boot to a usable desktop in 46 seconds (the average for an N450/455 processor is a minute), and with the ‘instant resume’ feature on, it wakes up from sleep in only three seconds. If you switch the boot OS to Express Gate Cloud, the X101H can be up and running from a cold boot in 15 seconds. Battery life is uninspiring as well – a shame, given long run-times have traditionally been one of the netbook’s strong suits. We were able to squeeze 4 hours and 20 minutes of continuous web browsing out of the X101H’s 3-cell battery using the power-saving profile – although as mentioned earlier, you’ll have to suffer through worse performance for the privilege. This is a big step down from Asus’ premium netbook models, most of which offer at least 8 hours worth of battery life, and as much as 13.5 hours. Asus had the right idea with the X101H: price it cheaper than tablets and entry-level notebooks, while making it look like a premium machine, and watch the bargain hunters come running. If only it wasn’t so frustrating to use. We understand that you’re not going to get blistering performance with a netbook. You get what you pay for. But we feel like you’re not even getting that with the X101H. $399 is an attractive pricetag, but the X101’s poor system performance and short battery life makes a sticker price that was half that more suitable. Then, maybe, we’d be more amenable to suffering through the X101H’s various shortcomings. I swear by asus netbooks and these were superb for $228 in the post xmas sales but aside from weight, they’re not the best buy any more. For the same dollars you can have a dual core Samsung with a proper battery and only 200 grams heavier! The Asus shell is better but that’s their only claim to fame. Unless that includes a 6 cell battery, I’d say not. There was talk of one coming out though. For $320 (ish) you can get a Samsung with better specs, a much better battery and which only weighs about 200g more. The one caveat is that the Asus is impressively light and I’d say it has a better shell than the Samsung – it feels stronger and less flexy, despite being lighter. Given that hour after hour of battery life is pretty much the best thing about netbooks, I’d go for the Samsung or similar at the moment.